Widely sought after by governments, businesses and non-profit organizations, Dr. Jack Mintz is one of Canada’s most distinguished and influential academics in public policy. As the President’s Fellow of the School of Public Policy at the University of Calgary he researches, builds capacity, and provides leadership specific to tax, financial regulatory and urban policy programs. He had previously served as the Palmer Chair and Director. Will Alberta Lose It's Tax Advantage? In this presentation geared towards financial advisors, Dr. Mintz discusses the critical tax and economic developments affecting your clients in a riveting session that pulls no punches. Breaking down the core issues that affect our competitiveness under a new world order, he advocates for a holistic approach to wealth management advice. This presentation will highlight the important role your audience plays in addressing emerging tax and economic issues – particularly in dealing with small business clients. Business Tax Reform: Can We Declare Victory Yet? Every year Canadian federal and provincial governments reform the business tax structure – whether corporate taxes, sales taxes or royalties and fees. Is Canada on the right track? The answer to this question is ambiguous. Without doubt we have substantially reduced taxes on businesses in the past 10 years. However, today we are finding that governments are increasingly relying on the tax system to change economic behavior. Call it “reverse Reaganism” to put in terms recently espoused by Michael Bryant, Minister of Economic Development in Ontario whereby some industries are preferentially treated. Everyone has to deal with public policies every day. Many public policies are crucial and highly beneficial to make sure things work well in our lives. Governments therefore have a tremendous impact on what people do every day. It is therefore important to understand then what makes good public policy. Every public policy issue has its tradeoffs and people will disagree philosophically or have a different understanding of the facts. Jack provided a great overview of the current tax landscape in Canada that was easy to understand and timely. His talks are always appreciated but our audience, commodity tax professionals from across the country and from different industries and professional practices, particularly enjoy his perspective. He's always welcome at our events. Dr. Jack Mintz believes economists shouldn’t be afraid to explain economic facts while providing a view on policy. His public presence has helped sparked debates within governments around the world. 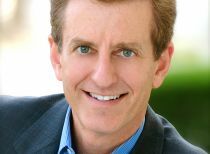 Serving on several corporate boards and engaged by many large multinational enterprises, Dr. Mintz has extensive experience solving complex business problems and advising on strategic direction to corporations around the world. Dr. Jack M. Mintz is the President’s Fellow of the School of Public Policy at the University of Calgary after serving as the Palmer Chair and Director from January 1, 2008 to June 30, 2015. He is the chair and Vice-President of the Social Sciences and Humanities Research Council of Canada in addition to the role of National Policy Advisor for the accounting firm EY. He serves as an Associate Editor of International Tax and Public Finance and the Canadian Tax Journal, and is a research fellow of CESifo, Munich, Germany, and the Centre for Business Taxation Institute, Oxford University. Dr. Mintz held the position of Professor of Business Economics at the Rotman School of Business from 1989-2007 and Department of Economics at Queen’s University, Kingston, 1978-89. He was a Visiting Professor, New York University Law School, 2007; President and CEO of the C. D. Howe Institute from 1999-2006; Clifford Clark Visiting Economist at the Department of Finance, Ottawa; and Associate Dean (Academic) of the Faculty of Management, University of Toronto, 1993 – 1995. He was founding Editor-in-Chief of International Tax and Public Finance, published by Kluwer Academic Publishers from 1994 – 2001. He chaired the federal government’s Technical Committee on Business Taxation in 1996 and 1997 that led to corporate tax reform in Canada since 2000. He also has served as chair of the Alberta Financial and Investment Policy Advisory Commission in 2007 that reviewed saving policy of the Alberta government. In addition, in 2009, he served as the Research Director of the FPT Research Working Group on Retirement Income and he was also the author of the Summary Report on Retirement Income Adequacy. He served on the federal Panel on Healthcare Innovation in 2013-14 as well as the Minister of Finance’s Economic Advisory Council since December 2008. Dr. Mintz has consulted widely with the World Bank, the International Monetary Fund, the Organization for Economic Co-operation and Development, federal and provincial governments in Canada, and various businesses and non-profit organizations. Widely published in the field of public economics, he was touted in a 2004 UK magazine publication as one of the world’s most influential tax experts. Alberta Venture magazine has recognized him as one of the fifty most influential Albertans in 2008, 2010 and 2013. The Financial Post named him one of the five most influential Canadians in regulation in 2012.